A field team from the University of Houston and the National Science Foundation (NSF) National Center for Airborne Laser Mapping (NCALM) has mapped a remote region of Honduras that may contain the legendary lost city of Ciudad Blanca. 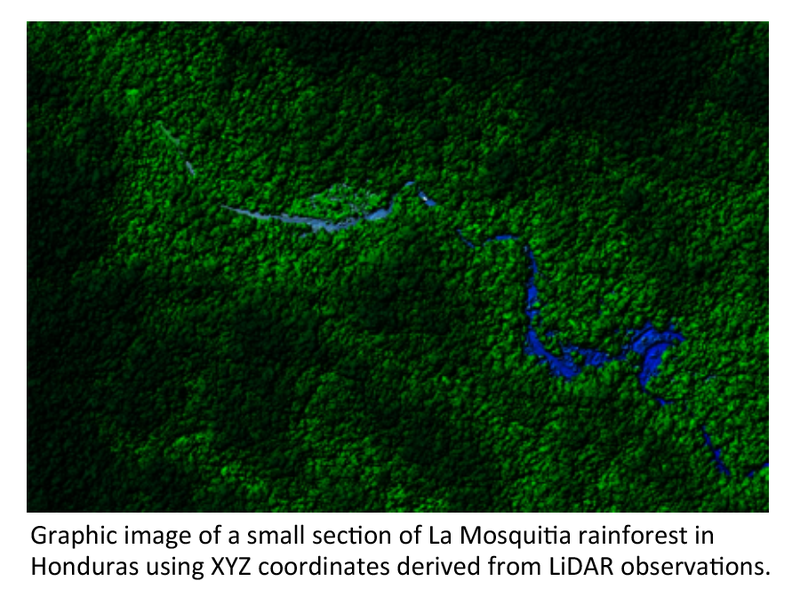 The results, recently announced by Honduras President Porfirio Lobo, mark the successful completion of the first light detection and ranging (LiDAR) survey of part of that country's Mosquitia region, one of the world’s least-explored virgin rainforests. An initial analysis of the LiDAR survey has identified ruins that could be those of Ciudad Blanca or other long-hidden sites. The information provides archaeologists with the precise locations of features within fractions of meters for further study. UH serves as the operational center for NCALM, a collaborative program between UH and the University of California at Berkeley. NCALM focuses on the collection of research quality, airborne LiDAR data for NSF principal investigators, the advancement of airborne LiDAR technology and applications and the education of students to fill positions in academic, government and commercial organizations requiring knowledge of airborne LiDAR. The NCALM Operational Center’s experience in completing more than 150 projects across the nation was critical to the successful completion of the Honduras mapping project, which was initiated by UTL Scientific LLC., a group formed by principals of the Honduran LiDAR survey project. UTL project leader Steve Elkins has been fascinated with the Mosquitia rainforest since his first visit there nearly 20 years ago, but he has been frustrated by the inability of satellite imagery to see under the extremely thick canopy. He contacted researchers at UH, NCALM and Geosensing Systems Engineering (GSE) Graduate Research Program to overcome this obstacle. UH professors Ramesh L. Shrestha and William E. Carter have been working with refining and applying airborne LiDAR to unveil the surface of the earth, primarily for earth scientists researching surface processes, for more than a decade. In 2009, the UH researchers and a field team composed of Michael Sartori, Juan Fernandez‐Diaz and Abhinav Singhania successfully mapped the Caracol archaeological site in Belize using airborne LiDAR. Even though the site was covered with dense rainforest, the LiDAR data captured building ruins and agricultural terraces not discovered by archaeologists working on the ground for more than 25 years. In the Honduras project, the UH team blanketed the area with as many 25 to 50 laser pulses per square meter – a total of more than four billion laser shots. 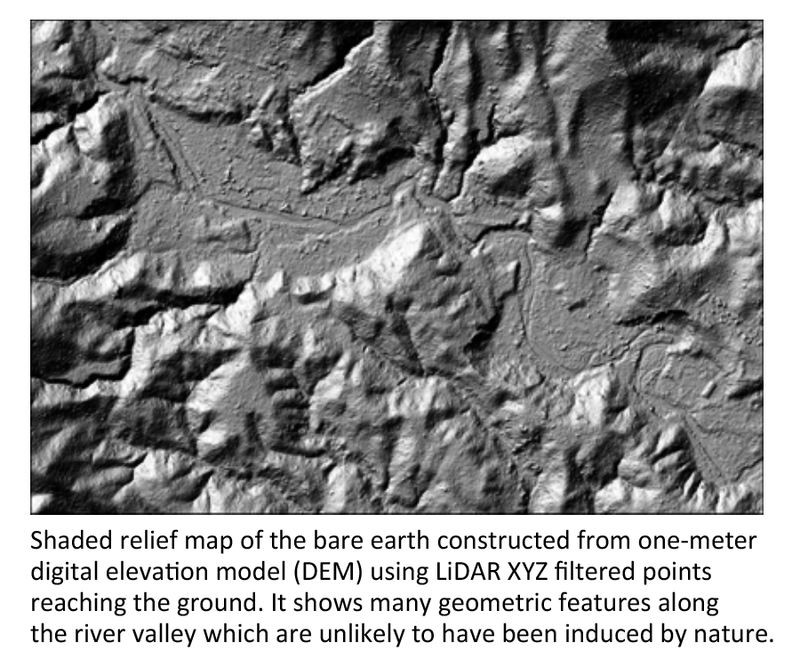 A number of areas were mapped and the images collected were reduced and filtered to remove the vegetation and provide “bare earth” digital elevation models in near real‐time in the field. 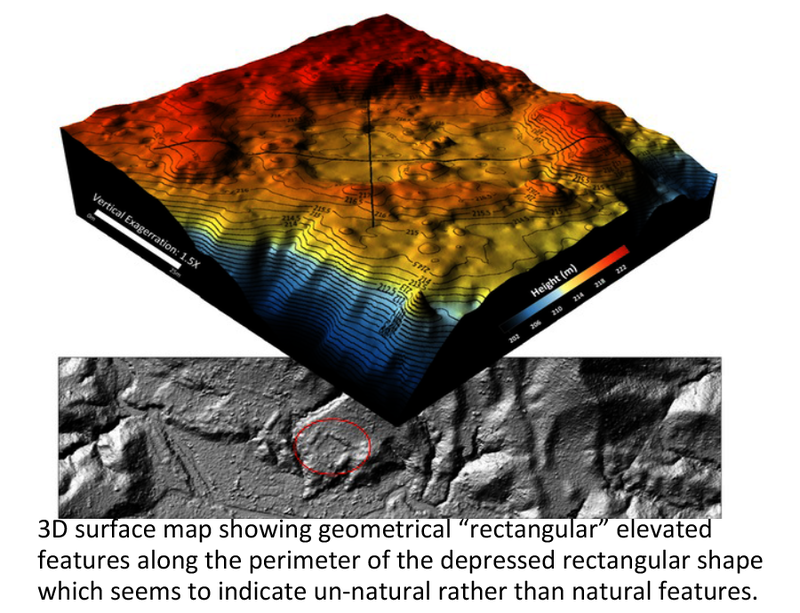 The digital elevation models were then used to produce geodetic images of the terrain’s surface below the rainforest, and those images were searched by eye to study geomorphological features as well as potential archaeological ruins. The project has demonstrated the power of airborne laser mapping to locate archaeological ruins in regions covered with thick forest, and it appears that the method will be used widely in the years ahead.